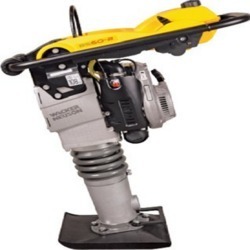 Pioneers in the industry, we offer vibratory rammer machine from India. It has strong impact force though it is small and light. Multipurpose use with manoeuvrability, they are used for confined area, trench work, backfill and repairing work on asphalt. Suitable especially for compacting the roadbed with low water content that heavy vibratory compactor could not work.